I asked Vitor Zago to bring these two characters together in battle and he nailed it! 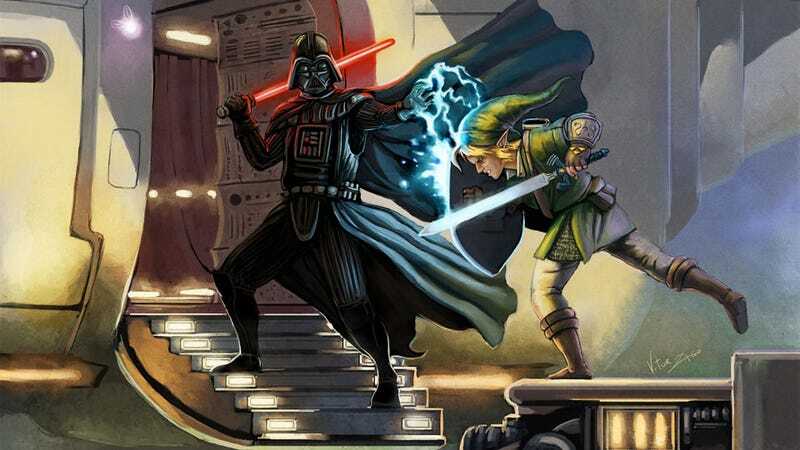 Dark Lord Vader and Link's worlds collide in this excellent illustration. Who do you think will win this Sci-Fi / Video Game battle?